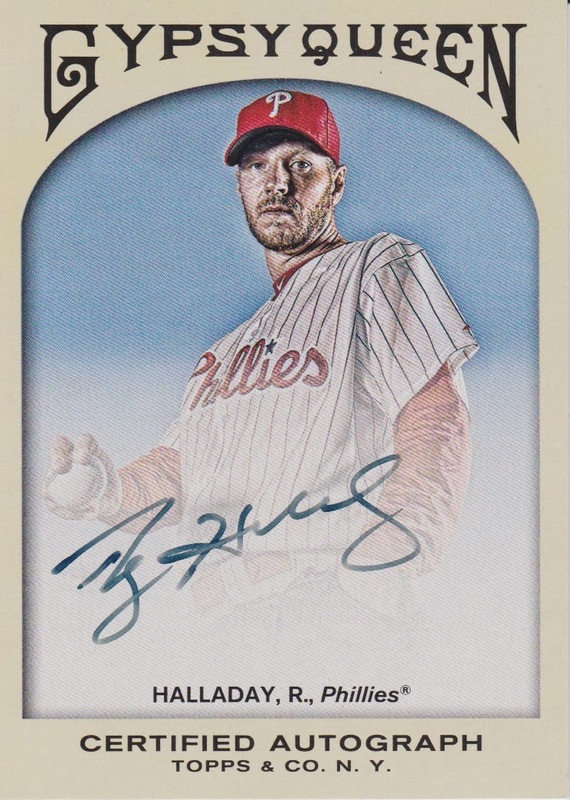 Sweet looking Roy Halladay auto! It's not as off centered as it looks (I blame the scanner for not getting the full edges). This leaves me with just (4) autographs from this set: Hank Aaron (Group E), Sandy Koufax (Group E), Ryan Howard (Group E - and the only sticker auto in the set) and Mike Stanton (Group D). The original autograph checklist is much longer than the actual checklist that made it to pack-out. There are quite a few names on that list that never got made (Brett Wallace for instance, who I was able to confirm as a non-pack-out auto via Topps "customer service"). I can absolutely foresee being able to pick up the Stanton and Howard some day, however I just don't know if the Koufax or Aaron will make it into my collection. Both are so rare and so expensive. There are a couple of Aaron's floating around eBay right now but it's literally been years since I've seen a Koufax and even with the product came out I only saw a few. But I'll keep plugging along and hopefully someday maybe I'll find a blaster or two on a discount rack and hit it big! Sorry for the long stretch between posts, life once again finds a way to keep me away from the hobby, although you wouldn't guess it based on the way my desk looks right now! Awesome, grats, love the 2011 GQ auto set ! That would be quite an accomplishment. Good luck! That's awesome that you're wife supports your collecting. Congratulations on the newest addition to your collection. Congrats on the Doc pickup! 2011 Gypsy Queen Photo Show Off!